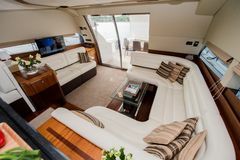 ACCOMMODATION: 4 cabins with 3 bathrooms, 1 skipper cabin. 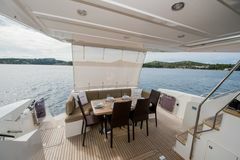 SKIPPER & CREW:Without skipper, bareboat, Skipper and hostess on request. 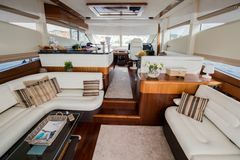 ENTERTAINMENT: SAT-TV, LCD-TV in lounge, HiFi system in all cabins, Dolby Surround System in the lounge, sound system in the cockpit, iPad docking station, WiFi Internet. 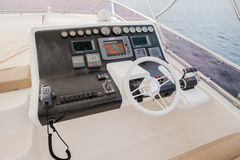 TENDER AND SEA FUN ACTIVITIES: Dinghy BRIG 3,30m with 30 HP Evinrude. 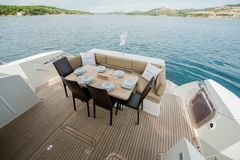 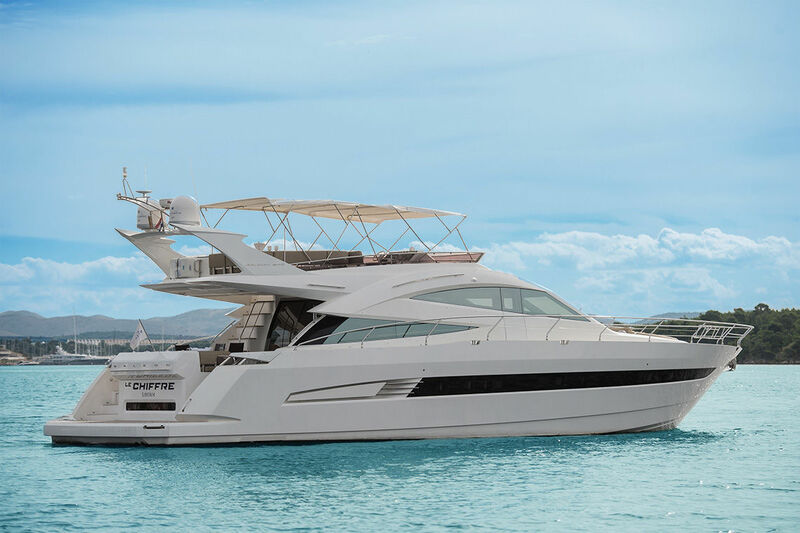 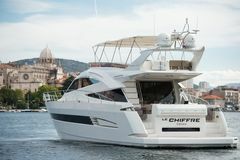 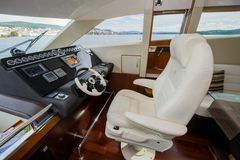 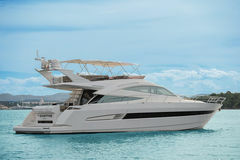 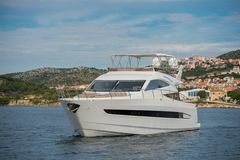 Cockpit and flybridge, Bow thruster, Stern thruster, Trim flaps, Electric WC system with black water system, Genset 220 V, A/C in salon and all cabins, Inverter 24 V/220, Ceramic cooking top, Dish washer, Additional fridge in corridor and salon, Huge sunbed on bow, Hydraulic telescopic gangway, Sun covers windows, Sun covers stern, Teak on platform, Stern winch, Anchor winch, Hydraulic stern lift for dinghy, Under water lights, Water ski dinghy, Water toys.